A swarm that I caught on 5-1-14 and brought home. My name is John Whiteker and yes, I keep bees. This is my second full season. My first was year was a success… until late winter. Kansas had an extremely harsh and up-and-down winter. That fact combined with my first season “hands-off” approach led to the demise of a weak colony that I purchased as a package, and an extremely strong hive that froze/starved in the last two weeks of the unpredictable winter. I have been advised to not get discouraged, especially since I got a late start with both hives and I only had the two. This is a new season, but due to the fact that it causes me great pain to purchase bees, I have vowed to only acquire local bees either from swarm collection or cut-outs. I am surrounded by some great fellow beekeepers and we constantly bounce ideas off one another. Humbly, this season, I find myself more of a student instead of a teacher. I think I may have actually spent too much time researching before I got started. 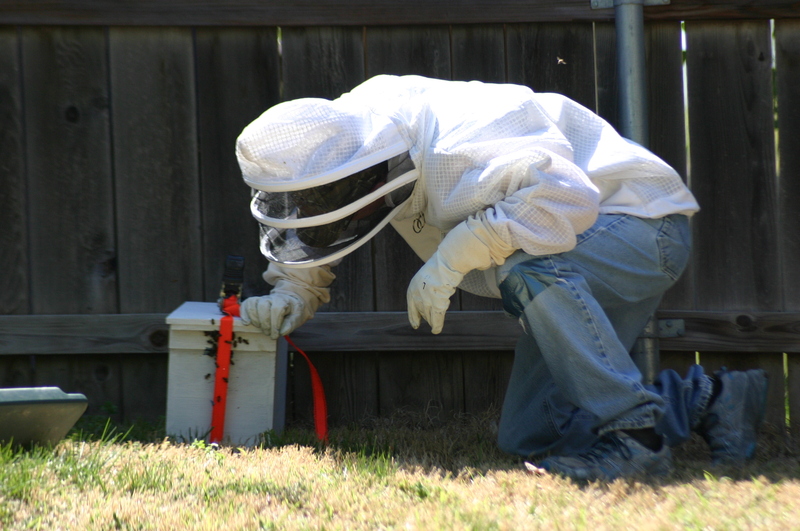 Beekeeping is something that really requires a mentor or trial and error. Someone writing a book on beekeeping in the south may not work at all for a beekeeper in a northern state. My intent with this blog is to provide a safe place for inspiring beekeepers to stop by and see what’s happening with beekeepers here in central Kansas. Hopefully it will help someone else avoid some of the struggles I have endured. Hi john, I stumbled across your videos on YouTube, I am from augusta ks. I recently got into beekeeping. I enjoyed reading about experiences with bees.